When a pregnant woman drinks alcohol, it rapidly crosses the barrier of the placenta, andenters the baby’s blood stream. The brain and central nervous system of the unborn childare especially sensitive to alcohol. Babies exposed to alcohol before birth havedevelopmental disabilities. 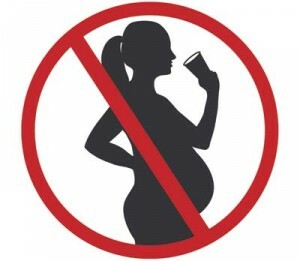 There is no safe quantity of alcohol, so it is best toabstain from alcohol during pregnancy. Central nervous system abnormalities: decreased skull size at birth, structural brain abnormalities, impaired fine motor skills, neurosensory hearing loss (nerves connecting the ears to the brain), and poor eye-hand coordination. 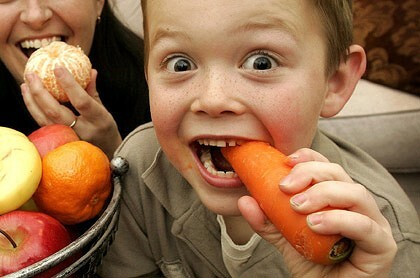 In addition, children with FAS may have abnormalities in cognition, language andbehaviour. What is Fetal Alcohol Effect? Fetal Alcohol Effect is a term used to describe children who were exposed to alcoholbefore birth, but have only some FAS characteristics. These may include reduced or delayedgrowth of the baby, single birth defects, or developmental learning and behaviouraldisorders that may not be noticed until months or years after the child’s birth. The prevention of eating disorders is fraught with difficulty, risky and has not been very successful. This has led many to question whether prevention should even be attempted. But can we afford to wait until all the answers are in? Not if we recognize that eating disorders occur on a continuum, treatment of established cases is not an effective control mechanism, and the clinical and subclinical incidence of eating disorders is high. A study of university students showed that none of those who met the criteria for eating disorders ever tried to get help, and women between the ages of 18 and 21, who had signs of bulimia but did not fulfil the diagnostic criteria, showed higher psychological distress. We cannot afford to wait, but we must tackle prevention with full awareness of the challenges involved. Our culture sanctions the particular behaviours associated with eating disorders – restraint, dieting and even limited purging – giving a strong message that is difficult to counteract. Our culture also sanctions attitudes that contribute to eating disorders; for example, the emphasis on thinness instead of health. This could be destructive for a growing youth. There is also an intolerance of such changes in women’s bodies as water retention associated with menstruation or those that occur during pregnancy. Within this context, how do we expect the adolescent to accept the tremendous changes associated with puberty? Eating disorders have been related to low self-esteem. How do adolescent girls deal with the lower status of women in our society, or perhaps seeing what little power their mothers may have in relationships? Research at the Stone Centre in Boston looking at women’s development shows that 11- and 12-year-old girls suppress aspects of their selves, and generally are more confused about who they are, their attitudes, values and opinions, and have low self-esteem.